The Ketogenic diet is by no means a new diet - but in recent months, it has grown in popularity as a way of losing weight. It has been used for years, primarily in clinical settings, as an epilepsy treatment. It consists of following specific guidelines of 25 to 35 grams of carbohydrates per day - this is about the equivalent of one apple. 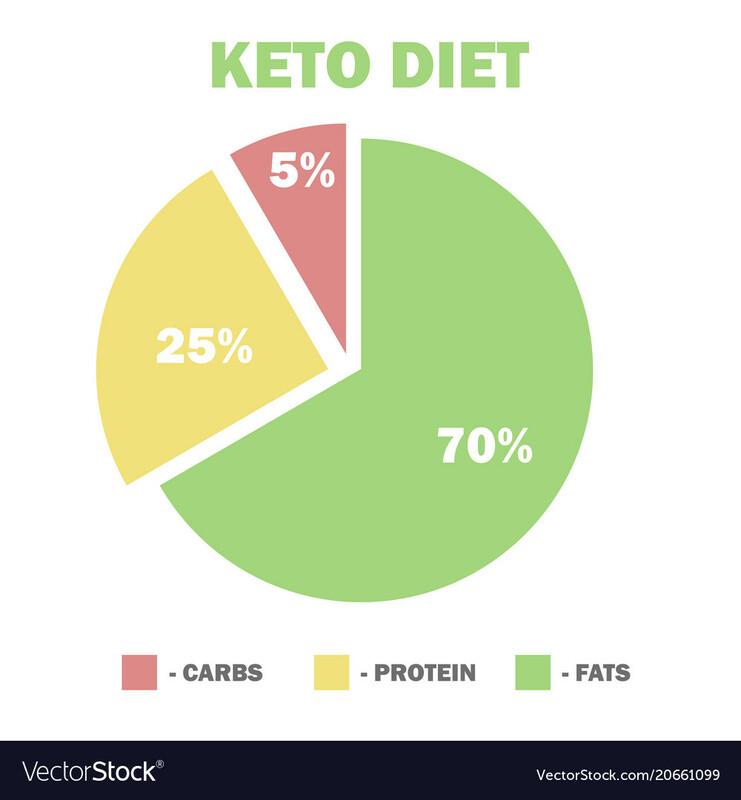 The remaining part of a ketogenic diet consists of 5 percent protein, and fat for the remaining 70 to 80 percent of the calories. A ketogenic diet is focused on burning ketones rather than using carbohydrates for fuel. When the human body lacks carbohydrates, fat is broken down and ketones are formed and burned for energy rather than glucose. There is evidence to support the use of a ketogenic diet in clinical settings - but optimizing a diet using the keto diet is still a controversial topic. 1. It has a number of clinical/medical advantages, including reducing insulin levels and increasing cognition. Insulin is a hormone that moves glucose from the bloodstream to the muscles and tissues. Higher levels of insulin circulating through the body have been linked to a higher risk of inflammation, which can cause an entirely new set of issues on its own. The ketogenic diet helps reduce insulin levels, and subsequently helps reduce inflammation in the body. There have also been another of studies that have produced evidence of a ketogenic diet improving cognitive functions. 2. It could increase weight loss. Many people who use the keto diet often notice weight loss. This is due in part to the more balanced blood sugar levels as well as due to increased satiety because of fat intake (it promotes balanced blood sugar), but also because people cut out carb and sugar heavy food from their diet. These foods can contribute to water retention and increased water weight - so when this water isn’t retained anymore, people look and feel lighter and skinnier. 3. You’ll end up eating more fat - and if you’re careful, it’ll be healthy fat. Fat is an important part of a person’s diet, and most don’t get enough of it - or they get excess amounts of unhealthy fat. One of the advantages of this diet is more healthy fat - from avocados, nuts, or fish. 4. It’s a good way to detox from carbs or sugar. Because this diet restricts sugar and carb intake to 25 to 35 grams, people reduce their sugar intake. This has a huge number of advantages, from lowering risk of heart disease to allowing space for healthier foods in someone’s diet. 1. It can be really, really hard to follow. The keto diet is a hugely restrictive way of eating, and a lot of people simply don’t like this kind of lifestyle. Every single meal has to be calculated and watched. While it’s possible to get food that fits a keto diet at restaurants, it requires a lot of planning and forethought. 2. There’s a tough period of adaptation. Keto diets often require a body to take 1-2 weeks to adapt. Depending on how adapted you are when you start, this phase can be super uncomfortable as your body brings its metabolic machinery up to par with a keto diet. 3. It’s possible to end up eating food that’s not that healthy. One advantage of the plan is increased fat intake - however, a lot of people end up eating fats that aren’t hugely healthy, such as saturated animal or synthetic fats. Though carb intake is reduced, fats like this aren’t necessarily healthier. People can also end up purchasing lower quality animal-based foods - it’s important to purchase organic or grass-fed animal and protein products to promote healthy intake. 4. You could be consuming a lower fibre content than before. This diet consists of a lot of fats that are healthy (if you choose the right ones) but less fiber. Many foods that contain fiber also contain an amount of carbs that is prohibited by this diet. All in all, if done right, the keto diet could be healthy - but it takes a lot of planning, forethought and making sure you’re eating the right products!